This map shows hiking trails in Crater Lake National Park. points of interest, tourist attractions and sightseeings in Crater Lake National Park. 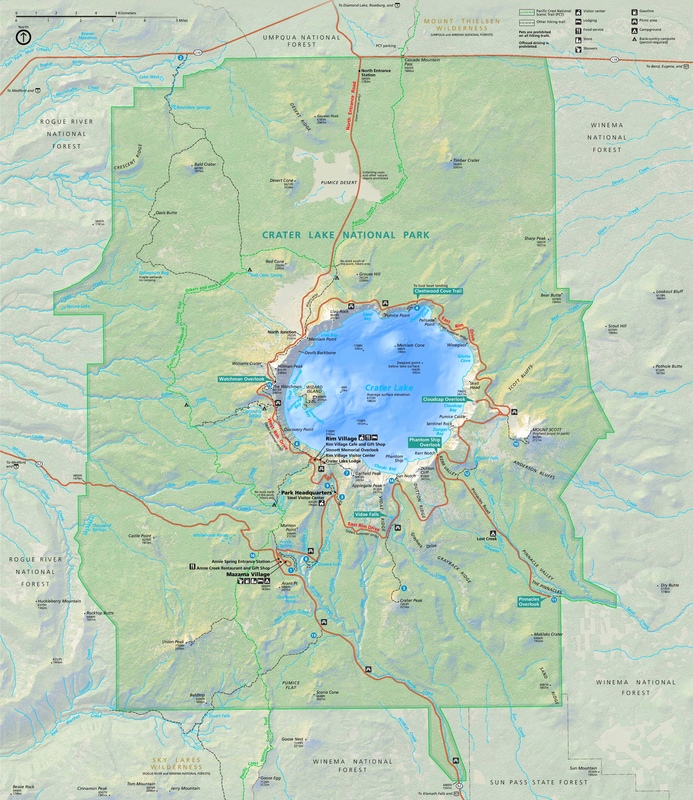 cities, towns, counties, highways, main roads, secondary roads, rivers, lakes, airports, national parks, national forests, state parks in Crater Lake National Park Area.